Denny Jump (Bellevue, WA, United States) on 7 March 2014 in Animal & Insect. And they Are In Heaven. Always a wonderful experience to see a flock like this . . and, yes, they do feel to be on another 'level'. @Gérard Beullac: Hi Gerard! Thank you so much! I LOVE your image today! Mr. Hitchcock would love this. Stunning and very impressive! Wonderful shot! That is a lot of birds. I just washed my car so they will all come my way. @B. Thomas: Yah they are definitely headed your way Barbara Put that thing in the garage! Very impressive and with a superb sky. The bottom stripe gives a great composition. Really amazing shot, Denny. Full! Very beautiful layers in the sky and an awesome sight to see ... fantastic capture, Denny! Have a great weekend! Very cool shot, Denny. Love the colors and the layers. What a thrill and fabulous shot! Fabulous image of all these birds in flight! This is just beautiful! Beautiful light and color! 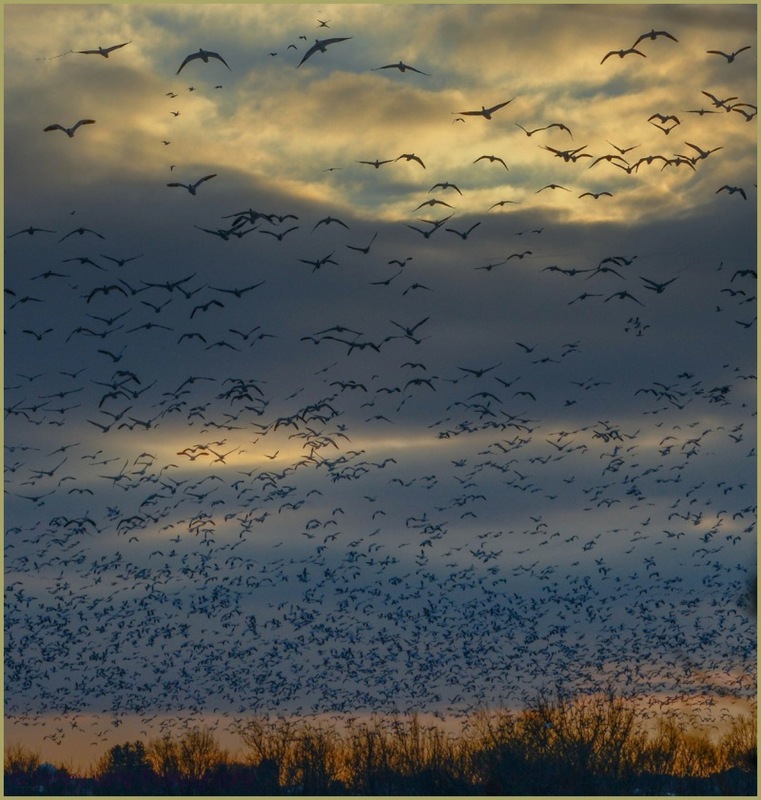 an amazing and almost very spiritual sight with thousands of birds up in the air! love the title! Omigod, this is featherly exceptional !!! !